In a land far away, there were two kingdoms: the Outside, where twisted beasts roamed that could curse with a touch, and the Inside, where humans lived in safety and peace. 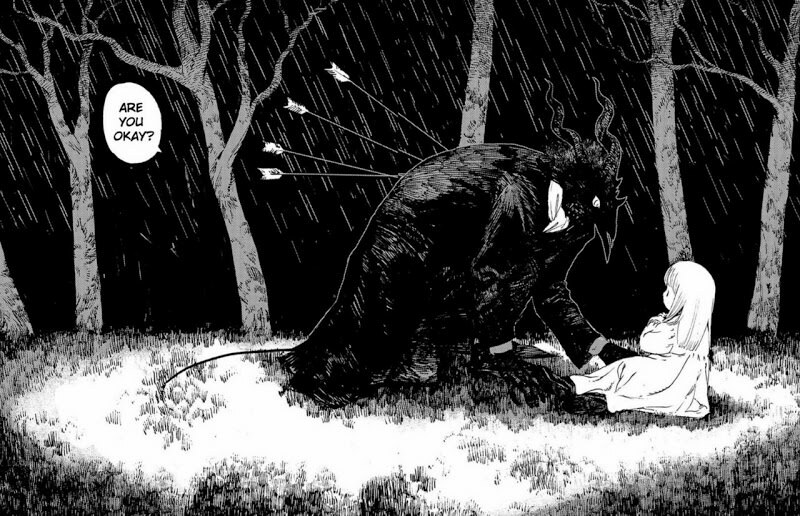 The girl and the beast should never have met, but when they do, a quiet fairytale begins. Need we say more? Just a little. This is a delightful, dark, and emotive fairy tale. ‘Teacher’ is an Outsider. Outsiders are people that have a curse that makes them become demon-like. They spread the curse through touch. Outsiders are kept outside of towns/villages and therefore live in the Outside. It all makes sense! Teacher lives in the Outside with a small non-cursed (Insider) girl called Shiva that they care for and look after. I love both Shiva and Teacher so much. The relationship between them is very tender, caring and wonderful. Most of the book is centred on the two, and because they survive in the Outside, the story feels very intimate and introverted. Not an awful lot happens in this first book, but I was never bored with the story. Because the characters are so likable I was happy to just spend time with them at their home. There was one point where Teacher performs a simple act of kindness (the baking of the apple pie) that was so heartwarming that I literally looked up from the book and exclaimed “Awwww, that’s so sweet” to an empty room. Anyway, I’m off to drink tea and bake a pie. Peace and Love. 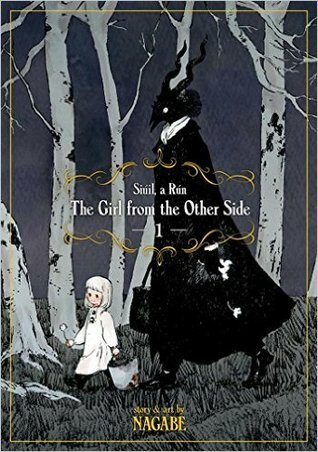 I am just getting into the manga genre and this looks like one I definitely need to pick up 🙂 Also, how do you work putting images in without getting caught in the copyrights? 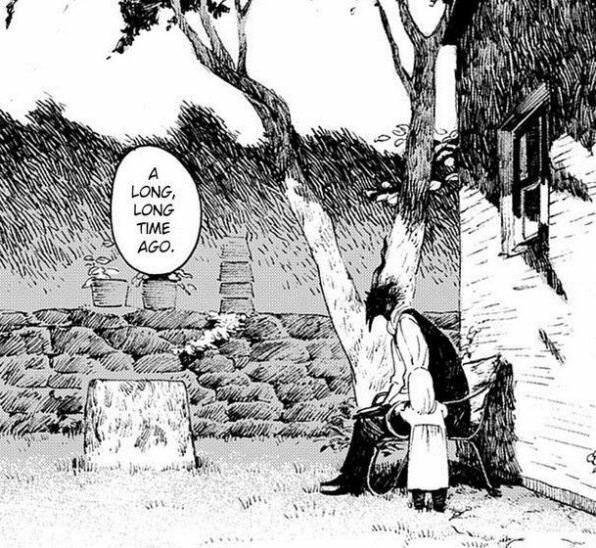 I feel like images are a big part of sharing manga or graphic novels but don’t know how to proceed. I don’t worry about it tbh. In the UK we can use up to 5% of a product under fair use. I always make sure I stay well under that and use only images that have been used by the publishers etc to promote the story. If I was ever asked to remove an image from a review, I’d simply do so. Very well put 🙂 thanks! This seems to be positively adorable and I love the whole sound and look of it! I’m new to manga… I probably have to google the whole concept of it to have an ‘Ah!’ moment but I will keep my eyes peeled for this one!